For the FN 303 Less Lethal Launcher. 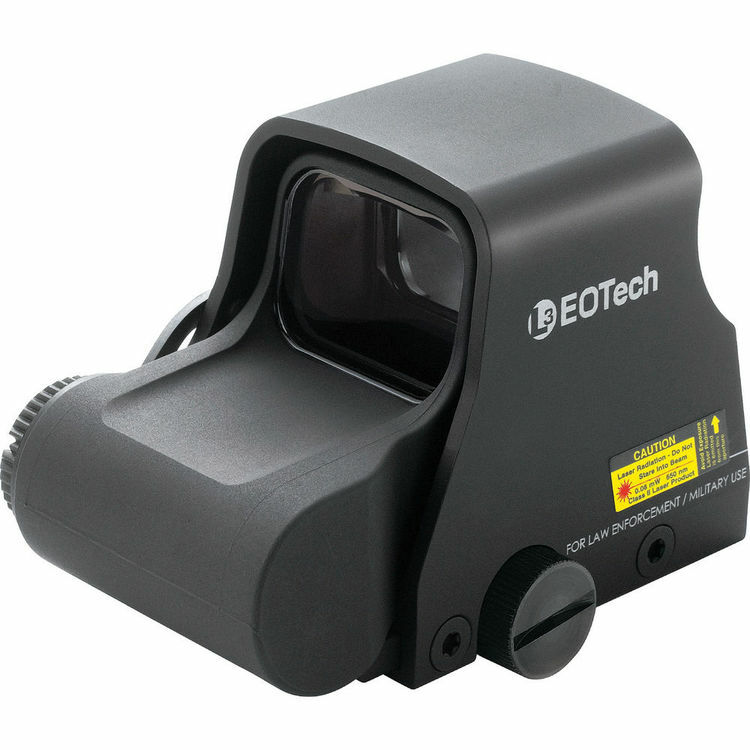 The XPS2-FN Red Dot Holographic Sight (Matte Black) from EOTech provides rapid heads-up-both-eyes-open target acquisition. It is specific for the FN 303 Less Lethal launcher. 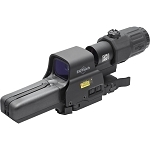 Because it's powered by a single transverse-mounted CR123A battery, the XPS2-FN is shorter than the N and AA battery versions - yet it delivers the same parallax-free sighting capabilities. This sight requires a mere 2.75" of rail space, and the battery compartment is raised to accommodate the Delta Ring of most M16/AR15 platform firearms. The battery cap is a simple screw-type cover that's o-ring sealed and tethered to the housing. 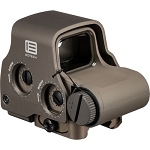 The control buttons are positioned on the side of the rugged aluminum housing for ease of operation. 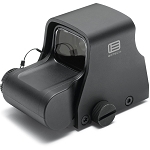 The illuminated reticle is calibrated to the specific trajectories of the FN 303 less lethal launcher - the illumination system provides the operator with 20 brightness levels to choose from. 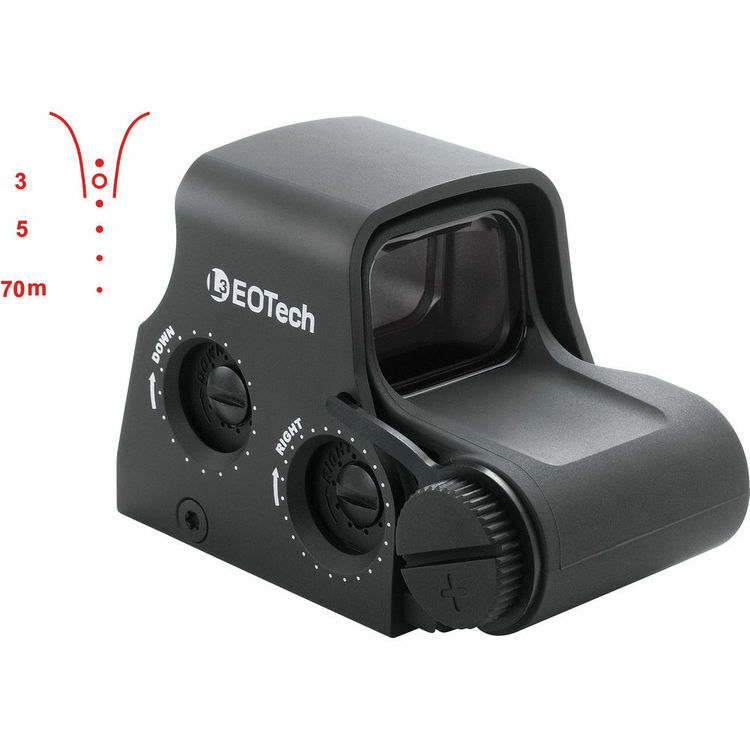 The reticle combines a targeting and ranging reticle in one image. Designed for today's modern battlefield; the XPS2-2 is submersible to a depth of 10', and it's repeatable to 2 MOA after remounting. The rear window is a 3/16" thick shatterproof laminate with anti-glare and scratch resistant coatings, and the front lens is 1/8" solid glass. Because the optical system is based upon transmission holography, parallax error is not an issue - a mission-critical feature that can save the situation when the going gets hot. Note: This item must be exported from the USA in accordance with Export Administration Regulations - ECCN 0A987. Diversion contrary to U.S. law is prohibited. In accordance with U.S. law (Title 15 CFR part 746 and Supplement No. 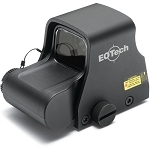 1 to Part 774; and Title 31 CFR) - the L-3 EOTech XPS2-2 HWS is controlled under U.S. International Traffic in Arms Regulations (ITAR) and may not be exported without proper authorization by the U.S. Department of State. Even if the laminated window is obstructed or damaged, the HWS remains fully operational. Provided a portion of the window is intact/visible, the entire reticle pattern will be seen on target, and the POI/POA will be maintained.